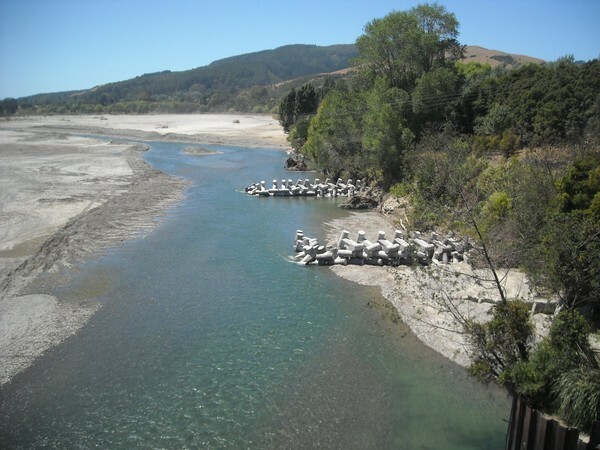 The first steps to stop the Waiapu River threatening the Ruatoria Township were put in place last week. Two groynes were placed downstream from the Rotokautuku Bridge. 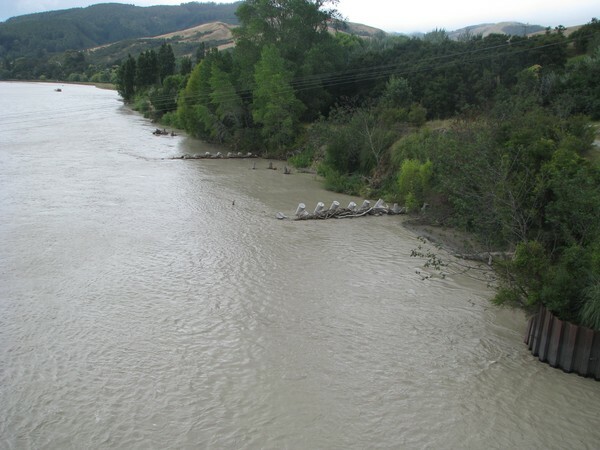 The purpose of the groynes is to encourage the Waiapu River to veer to the left bank where it used to flow before Cyclone Bola. The groynes are made up of 35–40 large concrete shapes called dolosse. Each weighs four and a half tonnes, is two and half metres long and nearly two metres wide and high. They have been manufactured on site by Ruatoria based contractor Ron Hedley Ltd. Local labour and shingle from the Waiapu River has been used to make the concrete. The shingle has been washed with a specially made cotraflow washer, designed by Mike Ross from local company Waiapu Metal/Rock products.